OK this is a real late review but when you have a strong first issue like this it doesn't matter. Picking up after the Battle of Yavin and the destruction of the Death Star, Darth Vader makes a house call on the notorious gangster Jabba the Hutt and shows that you don't underestimate a Dark Lord of the Sith when making a deal on the side. 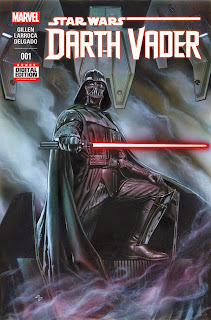 As he goes about his deal, we also discover that Vader has earned the scorn of his master for surviving the Death Star battle and a recent skirmish on Cymoon that brought him face to face with the new apprentice of Obi-Wan Kenobi, an encounter that won't be the last. 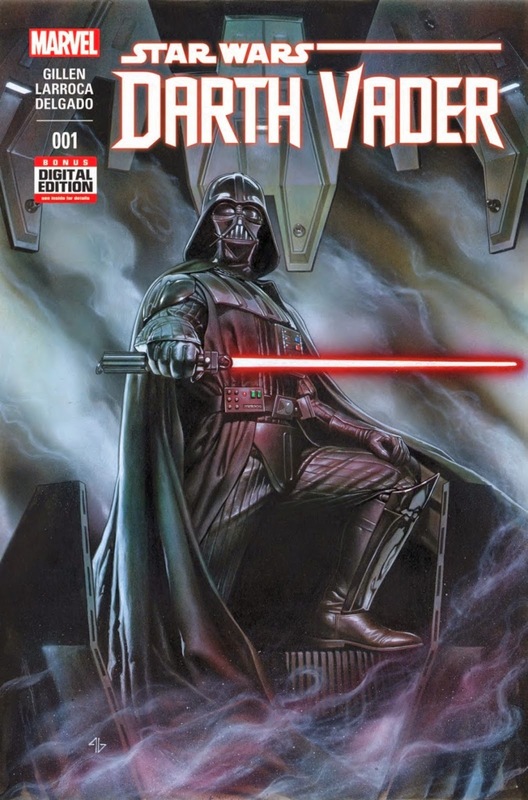 Following the first issue of Marvel's Star Wars, I didn't know what to expect when I picked up this comic book but found it to be an entertaining look at one of the most compelling villains of all time. Writer Kieron Gillen starts the issue by playing with our expectations, from the opening crawl being written from an Imperial point of view (I loved how the Death Star was referred to as a "peacekeeping force") to Vader's entrance to Jabba's palace mirroring Luke's in Return of the Jedi, it hits all the right buttons. It also taps into a little explored area-Vader's relationship with the Emperor after A New Hope-and shows how both men scheme against each other and have their own secret agendas. If there is any complaints its that since we are stuck in a time period already established there isn't much tension to who will survive but this is a strong start to the series (currently up to issue 4). Also helping with the storytelling is the art by Salvador Larroca, who manages to capture the Star Wars universe vividly and bring the characters and environments to life vividly. There has been several great artists who have brought to life a galaxy far far away before (my favorite is Al Williamson) and Larroca does a good job distinguishing his work from those while retaining the familiarity of this universe. He also delivers an impressive Vader, actually making him scary and threatening, especially in the opening. 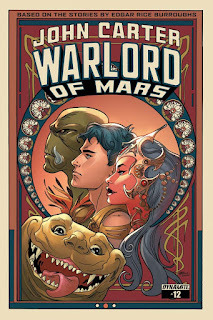 Fans of Star Wars or comics in general will love this first issue. It may be more setup than payoff but it's a compelling setup and a welcome return for the character and a good way to get in the mood for The Force Awakens. Until next time faithful readers.